Okay, forget everything MoviePass has recently said about changes to its movie theater subscription plan. And kiss “unlimited” goodbye. It’s abundantly clear that the free ride is over. MoviePass is out of money, its parent company currently has a market cap of about $460,000, and it’s still paying out full price to theaters every time one of its three million subscribers purchases a ticket. On Monday, it announced that the one-movie-a-day plan will be replaced by a three-ticket per month limit. Just last week, the company said that it would be raising prices to $14.95 per month in an effort to stop burning so much cash. For some time, MoviePass has maintained that it needs to acquire 5 million subscribers to begin breaking even—the idea being that the ones who don’t use the service very much will make up for the ones that use it all the time. In a press release sent to Gizmodo, the company now says that it will still have a top price of $9.95 per month. Previously, three movies per month cost $7.95. The good news is that it says both surge pricing and a requirement that users send a photo of their ticket stub will be suspended. If the whiplash changes weren’t confusing enough, the new model will also offer a $5 discount on a fourth ticket purchased by the user at the box office. All of these changes will apparently go into effect on August 15. 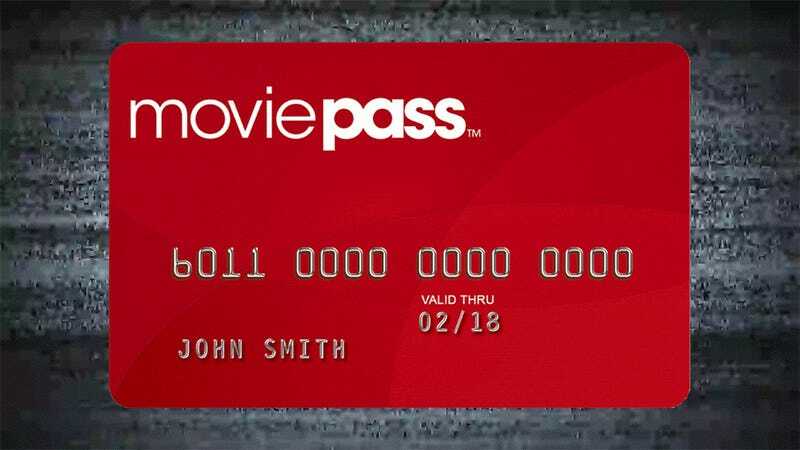 “All along, we’ve known that we need to invest heavily to prove our business model and bring enough subscribers into the business to truly understand their usage patterns and allow us to leverage ancillary revenue opportunities,” Ted Farnsworth, the CEO of MoviePass’s parent company said in a statement. He claims that only 15 percent of users see more than four movies per month. The latest round of changes will almost certainly not be the last. And there are questions around whether the company’s leadership will be around much longer. Over the weekend, a group of students at the University of California at San Diego told MarketWatch they have been exploring the possibility of using their $25 million venture fund, Triton Funds, to take over the company. They claim MoviePass’s parent company Helios and Matheson seemed interested in discussions last week but ultimately demurred. Now they are calculating a final offer and plan to appeal directly to the company’s shareholders. Most people couldn’t care less how MoviePass gives them their cheap movies as long as they keep coming. The current price falls somewhere between Sinemia’s and AMC’s rival services, with each company offering slight differences like access to 3D and IMAX formats or family plans. All-in-all, it seems like the subscription approach to theaters will find a balance that limits your visits and costs somewhere between $10-20 per month. Whatever happens to MoviePass, it made that possible and at this point, users probably just want everything to stop changing all the time.